Six centuries of history live on in one of the oldest hotels in Europe. An old silk business, home to the most powerful families in the Middle Ages and later an albergo, locanda, until it became one of the reference hotels in the Tuscan capital and home to writers such as Stendhal, Byron or Lamartine. Crossing its emblematic red door today is equivalent to immersing yourself in the Italy of the Grand Tour, in medieval Florence, in a world of craftsmanship and elegance, but also of sophistication and modernity. NH Collection Firenze Porta Rossa is one of Florence’s most valuable jewels. 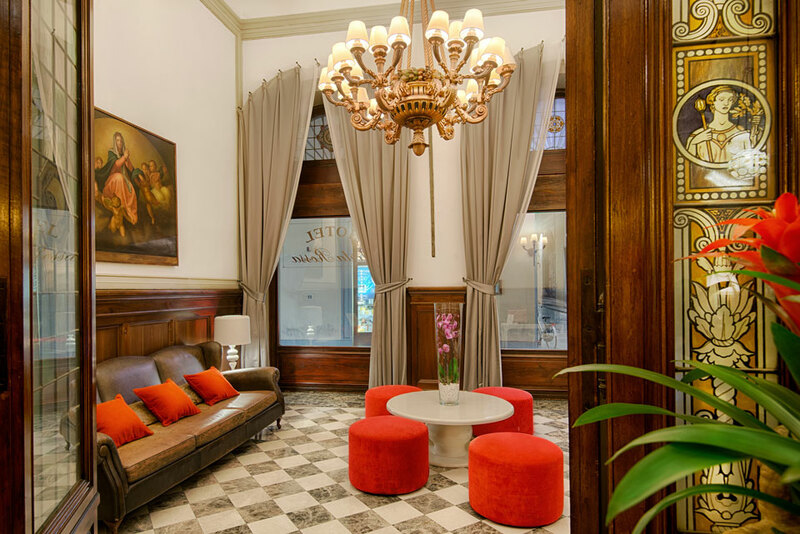 Begun in the 16th century, in the historic quarter of the city, it is gliding through the 21st century with renewed splendour, thanks to emphatically contemporary spaces and deep respect for its own past. Florence has a new heart. A new meeting place where visitors and Florentines alike encounter over five centuries of legends. NH Collection Firenze Porta Rossa, one of the oldest hotels in Europe, is a window onto Italian history that gives us a sense of the atmosphere and tastes of different ages (Middle Ages, Renaissance, the Modern Period…). Like silk: The former silk shop is now part of the elegant lobby. Meticulous restoration over recent years has recovered part of the old frescoes that used to cover its walls and integrated them into the interior design. In addition, iconic pieces of the most avant-garde Italian design have been combined with antique furniture —from the old palace— to create an atmosphere that is both contemporary and classic. 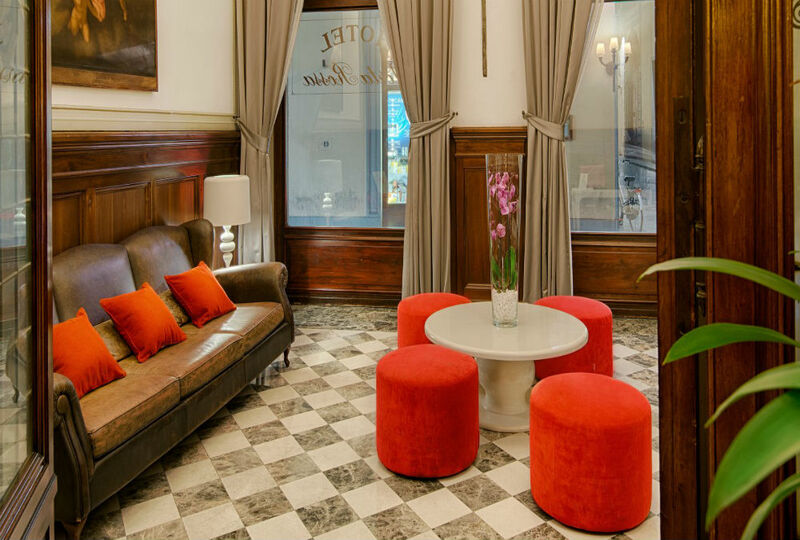 Elegance and sophistication are the two characteristics that put the 72 rooms in this hotel at the forefront of Florentine hotel accommodation. The most coveted: This junior suite is one of the most sought-after bedrooms in Florence. The most prized jewel of this emblematic building is the Torre Monalda (or Torre dei Monaldi), a medieval construction that is now the presidential suite. It is a unique spot in Florence with 360-degree views of the entire city. With the collaboration of the Savini family, a reference point when it comes to collecting Tuscan truffles, NH Collection Firenze Porta Rossa has developed a gastronomic concept, hitherto unheard of in Italy. It brings together the world of fashion, business and Florentine family sagas for a singular culinary experience, which allows the guest to savour traditional dishes revisited with hints of contemporary cuisine and the aromas of this typically Tuscan fungus. 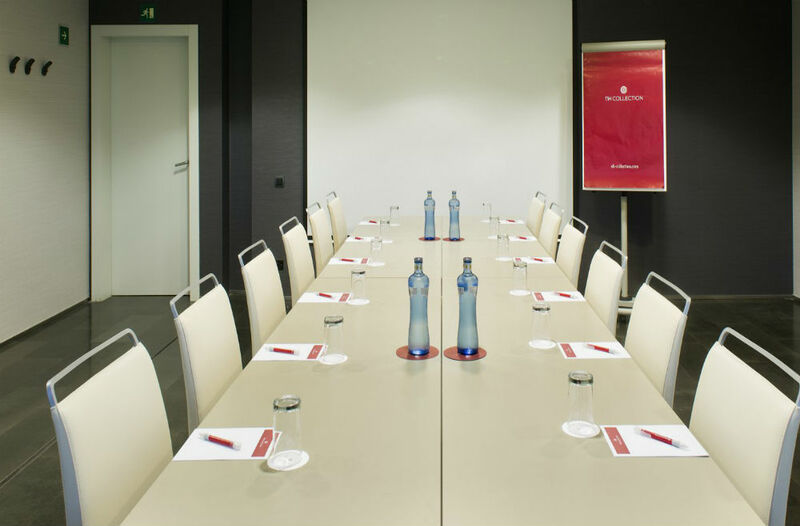 Another NH Collection Firenze Porta Rossa secret is its space for meetings, presentations or events. New fully-equipped and adapted meeting spaces in this emblematic building in Florence. Meeting place: Local society has already made the restaurant the place to be. 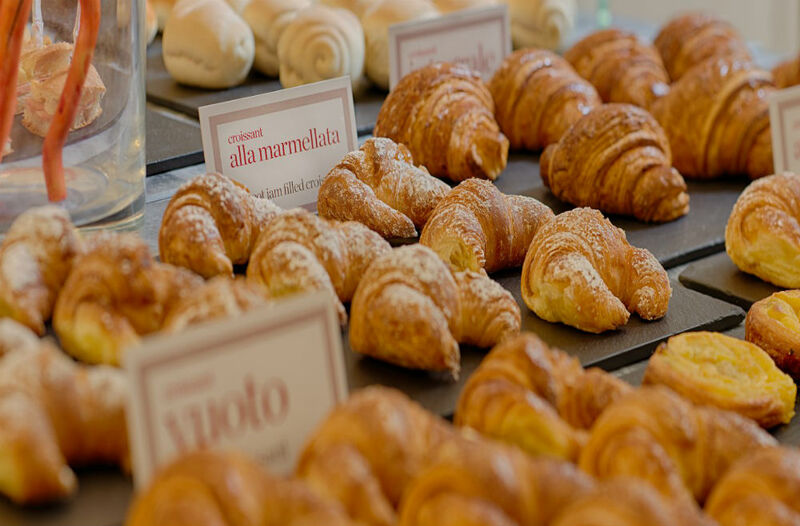 Are you ready to discover NH Collection Firenze Porta Rossa? A thousand enriching experiences and charming stories await you.